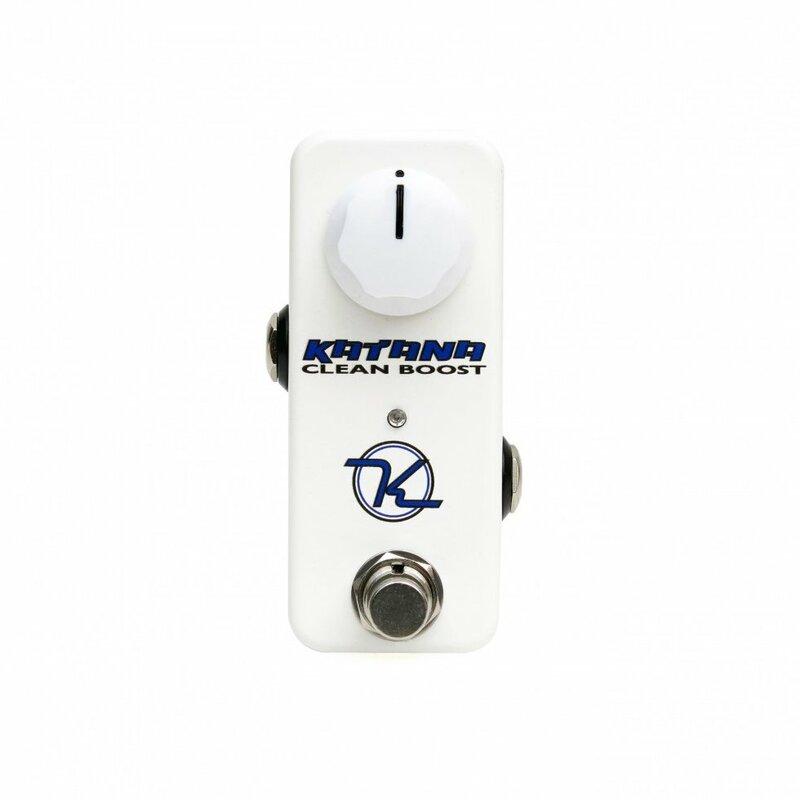 Introducing the Mini Katana 35dB clean boost! MINI KATANA CLEAN BOOST! Keeley’s oldest design made smaller and with an additional feature. The Katana started back in 2002 within the Time Machine Boost. It was a dual class A JFET design that gave players and incredible boost and sounded so good they never turned off. In fact they often ran two or three on stages like John Mayer! The Mini Katana boost provides over 35dB of boost. Enough for the most demanding players and sound reinforcement. New for the Mini Katana – 4 MODES! The new Mini Katana is now a 4 Mode Booster! With the dual micro switches you have a total of four sounds possible. Need drive, just flip the micro Hi-Gain Switch inside and you’ve got overdriven tone! Flip the Hi-Cut Switch (NEW for the Katana Mini!) on the inside and you have a warmer tone to soften any Strat or Tele. Flip both switches and you have the ultimate sounding boost, thick, creamy, tube-amp sounding, and plenty of volume on tap! Obsessed with cleanest, most enjoyable tone boosted? Well, Before other people started using Blue LED’s and non-diode clipping stages, there was the TMB and Katana…. Cascading FET stages do the tube-amp-thing like nothing else! Now made smaller, it will fit any board and any budget. Enjoy the pedal that redefined clean boost in the boutique era.